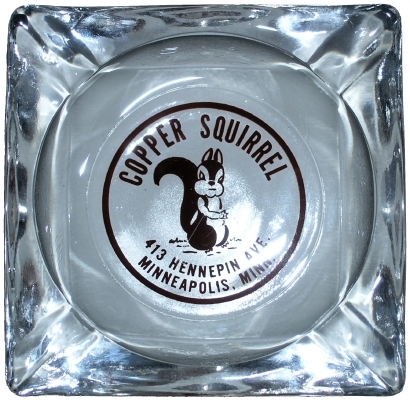 This is a glass ashtray from the defunct Copper Squirrel nightclub, formerly located at 413 Hennepin Ave, Minneapolis, Minn.
Found in the Ashtray and Twin Cities Collections. 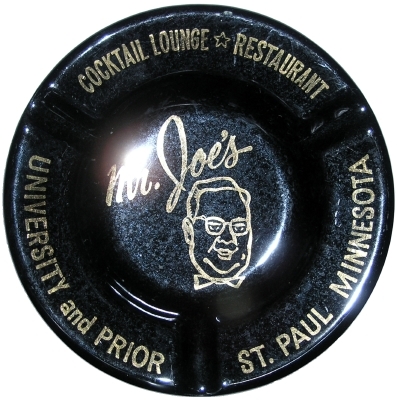 This is an ashtray for Mr Joe’s Supper Club, formerly located at University Ave W and Prior Ave N in St Paul. 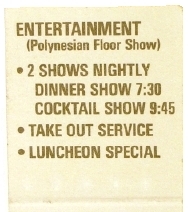 Along the rim of this black, glazed ceramic ashtray, in gold lettering, is “Cocktail Lounge”, “Restaurant”, “University and Prior”, “St. 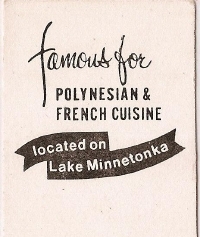 Paul Minnesota”. 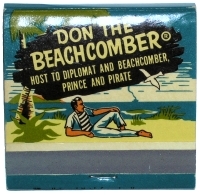 In the bowl is “Mr. 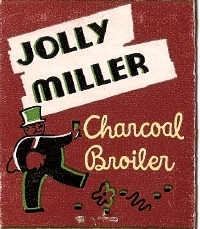 Joe’s” and the head of man, possibly Mr Joe, wearing a bowtie and glasses. 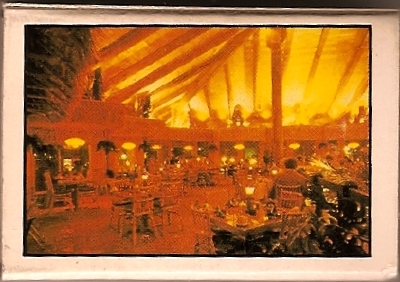 On the back, again in gold lettering, is “Royal China, Inc”, “Made in USA”, and “Warranted 22-K-Gold”. 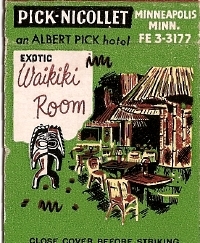 This Yipwon figure from Papua New Guinea reportedly decorated the walls of the Bali Hai Supper Club in St Paul, MN. 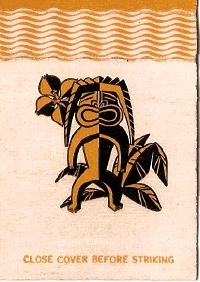 Yipwon are characterized by a one-leg base and opposing-hook imagery. 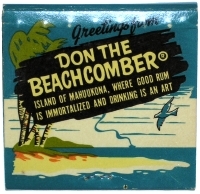 Similar Yipwon figures can be found on pages 42 and 43 of Night of the Tiki - The Art of Shag, Schmaltz and Selected Primitive Oceanic Carvings by Douglas A. Nason. 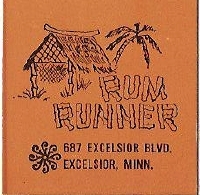 Found in the Carving and Twin Cities Collections. 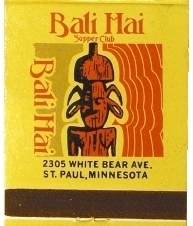 This mahogany shield, possibly of Philippine (Igorot) origin, is from the defunct Bali Hai Supper Club, formerly in St Paul, MN. 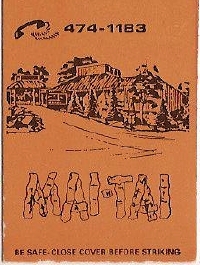 It was purchased for the restaurant in 1948 and I purchased it in 2006. 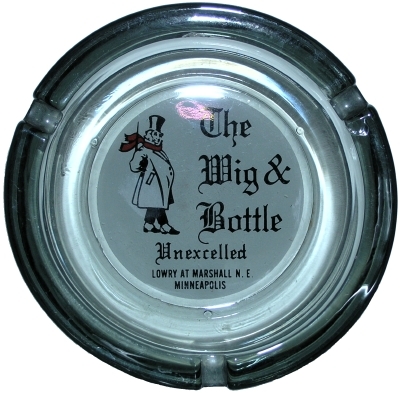 On the front are two faces and there is a carved handle on the reverse side. 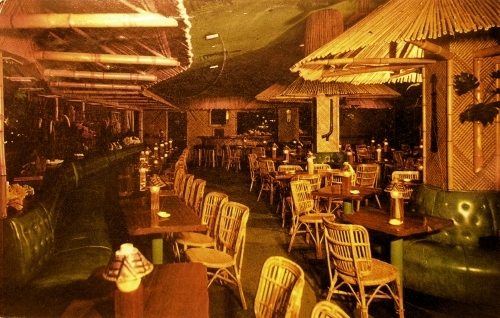 The six holes in it were for the screws used to attach it to the wall of the restaurant. 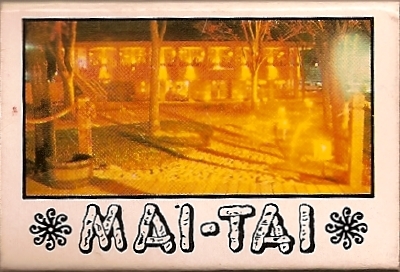 A matchbook from The Lexington, in St. Paul, MN. 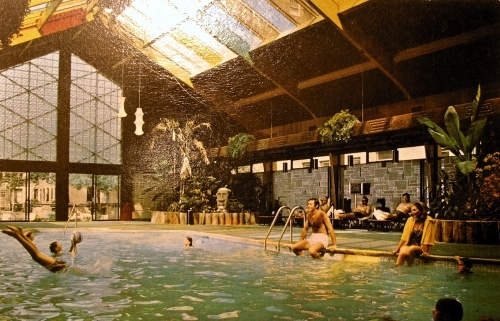 Located at 1096 Grand Ave, St Paul, Minnesota, The Lexington was established in 1935. 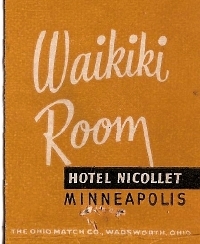 Found in the Matchbook and Twin Cities Collections.